Pocketburgers.com: Tom Brady Is the Greatest Quarterback of All Time. Period. Tom Brady Is the Greatest Quarterback of All Time. Period. Tom Brady is . . .
Tom Brady is the greatest quarterback in NFL history. That’s just my opinion, and that opinion is fungible. If someone else had made the same claim five years ago, I would have disagreed; five years ago, I didn’t even think he was the best quarterback of his generation. But the erosion of time has validated his ascension. Classifying Brady as the all-time best QB is not a universally held view, but it’s become the default response. His statistical legacy won’t match Peyton Manning’s, and Manning has changed the sport more. But Brady’s six Super Bowl appearances (and his dominance in their head-to-head matchups) tilt the scales of hagiography in his direction. He has been football’s most successful player at the game’s most demanding position, during an era when the importance of that position has been incessantly amplified. His greatness can be quantified through a wide range of objective metrics. Yet it’s the subjective details that matter more. America’s fanatical, perverse obsession with football is rooted in a multitude of smaller fixations, most notably the concept of who a quarterback is and what that person represents. There is no cultural corollary in any other sport. It’s the only position on the field a CEO would compare himself to, or a surgeon, or an actual general. It’s the only position in sports that racists still worry about. People who don’t care about football nevertheless understand that every clichéd story about high school involves the prom queen dating the quarterback. 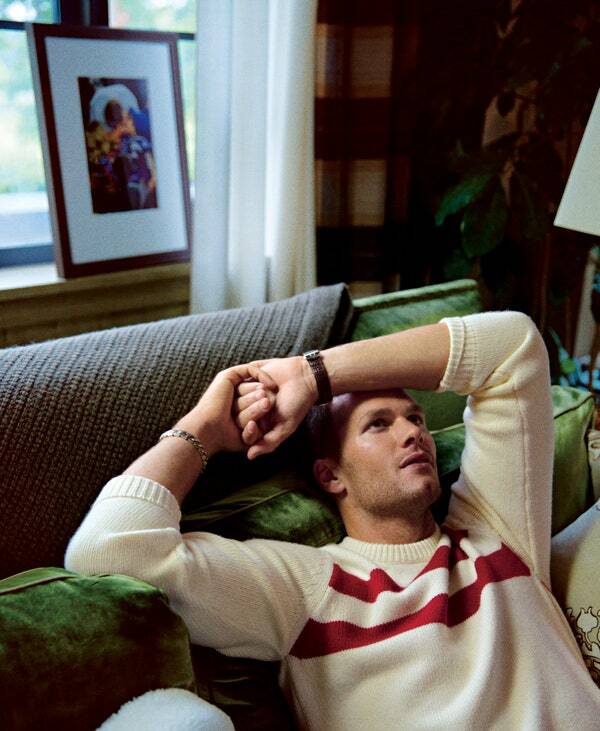 It serves as a signifier for a certain kind of elevated human, and Brady is that human in a non-metaphoric sense. He looks the way he’s supposed to look. He has the kind of wife he’s supposed to have. He has the right kind of inspirational backstory: a sixth-round draft pick who runs the 40-yard dash in a glacial 5.2 seconds, only to prove such things don’t matter because this job requires skills that can’t be reliably measured. Brady’s vocation demands an inexact combination of mental and physical faculties, and it all hinges on his teammates’ willingness to follow him unconditionally. This is part of the reason Brady does things like make cash payments to lowly practice-squad players who pick off his passes during scrimmages—he must embody the definition of leadership, almost like a president. In fact, it sometimes seems like Brady could eventually be president, or at least governor of Massachusetts. When I ask if it’s something he’s ever considered, he responds as if I am crazy. In May, Brady was suspended by the NFL for four games. He appealed the suspension and was re-instated in time for the opening of the 2015 season. Days later, an intensely reported ESPN The Magazine story outlined how the NFL bungled the Deflategate investigation and leaked false information to reporters. But the article was more damaging to the Patriots as an organization. It reported commissioner Roger Goodell purposefully over-penalized Brady and the Patriots on behalf of the other league owners, essentially as retribution for a decade of unproven institutional cheating (potentially including the first three New England Super Bowl victories, three games that were decided by a total of nine points). Brady has never admitted any wrongdoing. He beat the suspension without conceding anything (and in the four games he was supposed to miss, he completed 73 percent of his passes for 11 touchdowns and zero interceptions). His résumé remains spotless. But things are different now, in a way that’s easy to recognize but hard to explain. 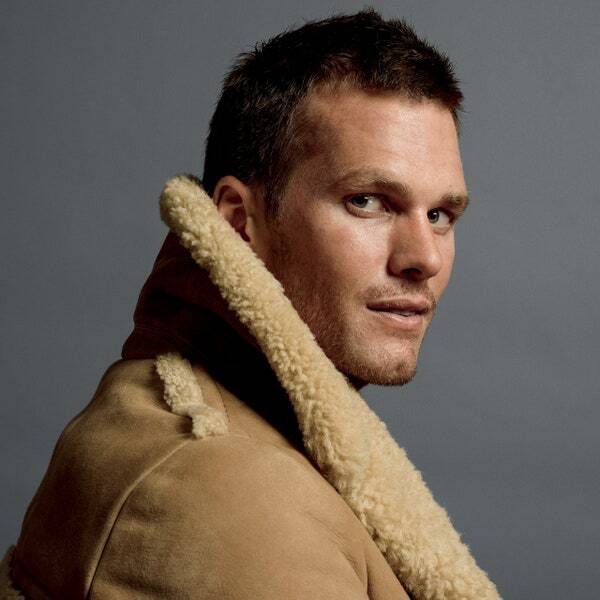 Even though he’s said absolutely nothing of consequence in public, there is a sense that we now have a better understanding of who Tom Brady really is. And it’s the same person we thought he was before, except now we have to admit what that actually means. I’m interviewing Brady at a complicated point in his life. There are several things I want to ask him, almost all of which involve the same issue. 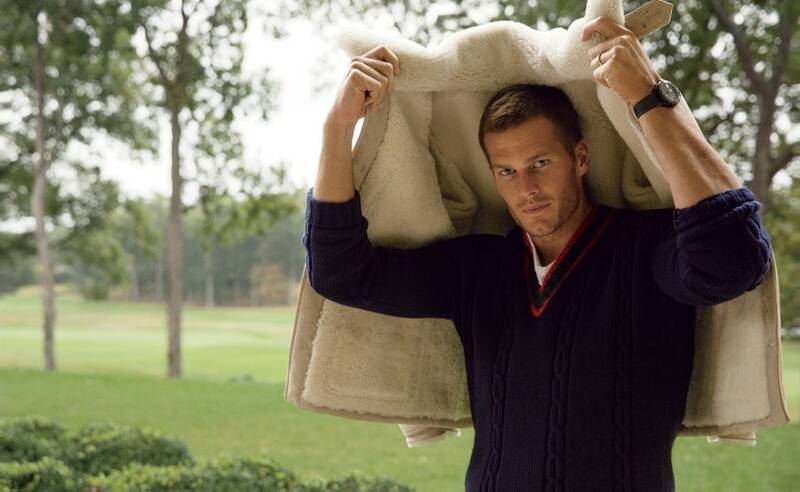 I’m told Brady’s camp has agreed to a wide-ranging sit-down interview, where nothing will be off the table. The initial plan is for the meeting to happen in Boston, and it will be a lengthy conversation. Two days before I leave, Brady’s people say that the interview can’t happen face-to-face (and the explanation as to why is too weird to explain). It will now be a one-hour interview on the phone. Brady calls me on a Tuesday. He’s driving somewhere and tells me he has only 45 minutes to talk. I ask a few questions about the unconventional trajectory of his career, particularly how it’s possible that a man who was never the best quarterback in the Big Ten could end up as a two-time league MVP as a pro. He doesn’t have a cogent answer, beyond classifying himself as a “late bloomer.” We talk about the 2007 Patriots squad that went 16-0, and I ask if wide receiver Randy Moss was the finest pure athlete he ever played with. He begrudgingly concedes that Moss was “the greatest vertical threat,” although he goes out of his way to compliment Wes Welker and Julian Edelman, too. He never brags and he’s never self-deprecating. He never offers any information that isn’t directly tied to the question that was posed. Everything receives a concise, non-controversial answer (including the aforementioned passage about his lack of political ambition). Realizing time is evaporating, I awkwardly move into the Deflategate material, citing the findings of the official report published by the NFL’s investigating attorney, Ted Wells. The remainder of the interview lasts seven minutes. There’s one element of the Wells Report that I find fascinating: The report concludes that you had a “general awareness” of the footballs being deflated. The report doesn’t say you were aware. It says you were generally aware. So I’m curious—would you say that categorization is accurate? I guess it depends on how you define the word generally. But was that categorization true or false? [pause] I don’t really wanna talk about stuff like this. There are several reasons why. One is that it’s still ongoing. So I really don’t have much to say, because it’s—there’s still an appeal going on. Oh, I realize that. But here’s the thing: If we don’t talk about this, the fact that you refused to talk about it will end up as the center of the story. I mean, how can you not respond to this question? It’s a pretty straightforward question. I don’t think you have, really. When I ask, “Were you generally aware that this was happening,” what is the answer? I’m not talking about that, because there’s still ongoing litigation. It has nothing to do with the personal question that you’re trying to ask, or the answer you’re trying to get. I’m not talking about anything as it relates to what’s happened over the last eight months. I’ve dealt with those questions for eight months. It’s something that—obviously I wish that we were talking about something different. But like I said, it’s still going on right now. And there’s nothing more that I really want to add to the subject. It’s been debated and talked about, especially in Boston, for a long time. Do you feel what has happened over these eight months has changed the way the Patriots are perceived? I don’t really care how the Patriots are perceived, truthfully. I really don’t. I really don’t. Look, if you’re a fan of our team, you root for us, you believe in our team, and you believe in what we’re trying to accomplish. If you’re not a fan of us, you have a different opinion. But what you’re suggesting is that the reality of this is subjective. It’s not. Either you were “generally aware” of this or you weren’t. Tom, you haven’t. I wouldn’t be asking these questions if you had. There’s still a lack of clarity on this. Chuck, go read the transcript from a five-hour appeal hearing. It’s still ongoing. I’ve already answered all those questions. I don’t want to keep revisiting what’s happened over the last eight months. Whether it’s you, whether it’s my parents, whether it’s anybody else. If that’s what you want to talk about, then it’s going to be a very short interview. So you’re just not going to comment on any of this? About the idea of the balls being underinflated or any of the other accusations made against the Patriots regarding those first three Super Bowl victories? You have no comments on any of that? Right now, in my current state in mid-October, dealing with the 2015 football season—I don’t have any interest in talking about those events as they relate to any type of distraction that they may bring to my team in 2015. I do not want to be a distraction to my football team. We’re in the middle of our season. I’m trying to do this as an interview that was asked of me, so… If you want to revisit everything and be another big distraction for our team, that’s not what I’m intending to do. But if I ask you whether or not you were generally aware of something and you refuse to respond, any rational person is going to think you’re hiding something. Were you not informed by any of the people around you that these questions were going to be asked? —the time to talk to me. Sorry, man. • At what point did you become aware that people were accusing you of cheating? • Do you (or did you) have any non-professional relationship with Jim McNally and John Jastremski, the Patriots employees at the crux of this controversy? • Do you now concede some of the balls might have been below the legal limit, even if you had no idea this was happening? Or was the whole thing a total fiction? • Do you believe negligibly deflated footballs would provide a meaningful competitive advantage, to you or to anyone else on the offense? • How do you explain the Patriots’ fumble rate, which some claim is unrealistically low? Is that simply a bizarre coincidence? • If you had no general awareness of any of this, do you feel like Bill Belichick pushed you under the bus during his January press conference? Were you hurt by this? Did it impact your relationship with him? These questions shall remain unasked, simply because Brady refused to repeat a one-word response he claims to have given many times before. Now, I’m not a cop or a lawyer or a judge. I don’t have any classified information that can’t be found on the Internet. My opinion on this event has as much concrete value as my opinion on Brady’s quarterbacking, which is exactly zero. But I strongly suspect the real reason Brady did not want to answer a question about his “general awareness” of Deflategate is pretty uncomplicated: He doesn’t want to keep saying something that isn’t true, nor does he want to directly contradict what he said in the past. I realize that seems like a negative thing to conclude about someone I don’t know. It seems like I’m suggesting that he both cheated and lied, and technically I am. But I’m on his side here, kind of. Yes, what Brady allegedly did would be unethical. It’s also what the world wants him to do. And that may seem paradoxical, because—in the heat of the moment, when faced with the specifics of a crime—consumers are programmed to express outrage and disbelief and self-righteous indignation. But Brady is doing the very thing that prompts athletes to be lionized; the only problem is the immediacy of the context. And that context will evolve, in the same direction it always does. Someday this media disaster will seem quaint. The Oakland Raiders of the 1970s broke every rule they could, on and off the field, sometimes for no reason. They were successful and corrupt, and fans living outside the Bay Area hated what they represented. But nobody hates the ’70s Raiders now. In fact, we long for those teams, nostalgic for the era when their sublime villainy could thrive. It’s widely assumed Red Auerbach bugged the opponents’ locker room when he coached the Celtics, an illicit subterfuge retrospectively re-imagined as clever and industrious. When former Tar Heels basketball player Buzz Peterson talks about the greatness of his college roommate Michael Jordan, he sometimes recounts a story of the evening Jordan tried to cheat Peterson’s mother in a card game, an anecdote employed to reinforce how MJ was so supernaturally competitive that even middle-aged women got sliced. The defining memory of Kansas City Royals legend George Brett involves the illegal use of pine tar on his bat, an unambiguous infraction that was ultimately reversed on appeal, just like Brady’s suspension. In the present, we overvalue the rules of sport and insist that anyone caught breaking ,those parameters must be stopped, sanctioned, and banned. But as the decades slip away, such responses tend to invert. Who won and who lost got hurt and nobody took drugs and nothing was fixed by gamblers, a little deception almost becomes charming. A deficiency of character adds character, somehow. It proves that the cheater cared. There is nothing more attractive than a person who does not care if other people find him attractive. These are all just games. Within the grand scheme of existence, they have no intrinsic value. A game can matter only as much as the involved players believe it to matter. This is why no one watches the Pro Bowl. It’s also what makes Brady di≠erent from normal people, and from other quarterbacks: He will do whatever it takes to win, regardless of what that win represents. He is, by definition, a winner. Which is what everyone has always said about him. We always knew this. He is precisely the man society demands him to be. It’s just that society doesn’t like to think about what that means in practice. Before I asked Brady about Deflategate, I asked him about playing golf with Donald Trump. He explained how this is an amazing experience, and how you never really know what the actual score is, and that there’s always some sort of side bet, and that Trump always goes home with the money. I ask him if this means Trump cheats, as it’s hard to imagine how someone could always win, particularly since Golf Digest estimates Brady’s handicap as an 8. The scoreboard is the scoreboard is the scoreboard. Everything else is just, like, your opinion, man. Chuck Klosterman (@CKlosterman) is the author of eight books, most recently I Wear the Black Hat: Grappling with Villains (Real and Imagined).